Let SuperPhillip Central be the 131st site to wish you and yours a Merry Christmas! While the site may be late wishing you a happy holidays, at least we have a gift for you unlike those other sites! It's the gift of song with this special edition of SuperPhillip Central's Favorite VGMs. Yep, it's a double dose of this recurring weekly segment, specially packaged for Christmas! All of the songs featured have some winter and Christmas charm to them. 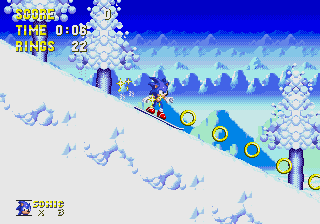 We start with Sonic the Hedgehog 3 and its Ice Cap Zone Act 1 theme. We then go trekking through a winter wonderland with Mario in Super Mario 64. 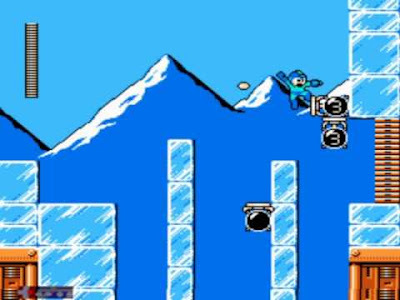 The Blue Bomber feels Blizzard Man's icy wrath with a song from Mega Man 6. What concludes this special holiday edition of SuperPhillip Central's Favorite VGMs are songs from Sonic 3D Blast and Donkey Kong Country 3: Dixie Kong's Double Trouble. Once your stomach is full from Christmas dinner, why not rest up by your computer and listen to past VGM volumes and games featured with the SPC VGM Database? We seem to have an influx of Sonic the Hedgehog, with Sonic and the Black Knight being the last VGM volume of our last edition of the old VGMs. That's okay, as if I had to listen to music from any gaming series, the Sonic the Hedgehog franchise's music would be near the top of my list. With this 1036th VGM volume we delve into the treacherous terrain of the Ice Cap Zone, a popular zone within Sonic the Hedgehog 3. Merry Christmas, Sonic! Borrowing the Slider theme melody from the same game, Super Mario 64's Cool Cool Mountain plays in two levels within the game. The first is this titular one, while the second is in the final third of the game, played during Snowman's Land. 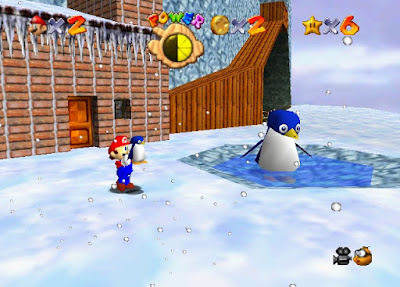 There are few games that do winter well while leaving players with great memories. Super Mario 64 is one of them. Blizzard Man was one of the eight Robot Masters that Mega Man had to take down in the final NES Mega Man release, Mega Man 6. Mega Man 6 offered some nice innovations to the old Blue Bomber formula, such as multiple path levels, something that some later Mega Man games would possess. The entire package was given the Blue Bomber charm with a super catchy and likable soundtrack, something that the series is definitely well known for. Well, WAS well known for. Sonic 3D Blast had two soundtracks written for the game. The first was the Sega Genesis / Mega Drive version, while the other, and the one I vastly prefer, was the Sega Saturn and PC version. 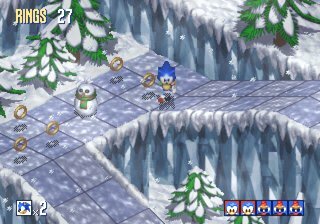 From the sleigh bells, tubular bells, brass, and pizzicato strings, Sonic 3D Blast's Diamond Dust Zone Act 1 is indeed like hearing a Christmas jingle as you explore the level's winter wonderland. 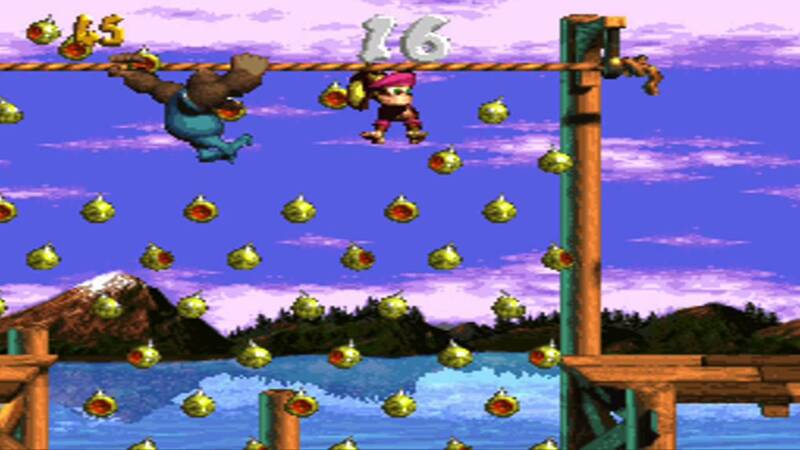 Wrapping up this edition of SuperPhillip Central's Favorite VGMs like a Christmas present is a bonus game melody from Donkey Kong Country 3: Dixie Kong's Double Trouble, the final of the original DKC trilogy for the Super Nintendo. 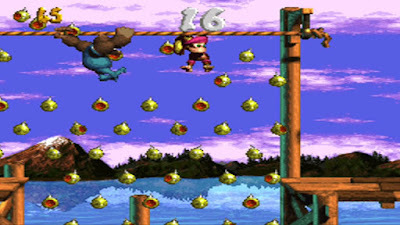 Using a cheat code, in bonus games, all of the collectible doodads would be replaced with golden Christmas ornaments while this song would replace the original bonus game theme. Pretty cool cheat!